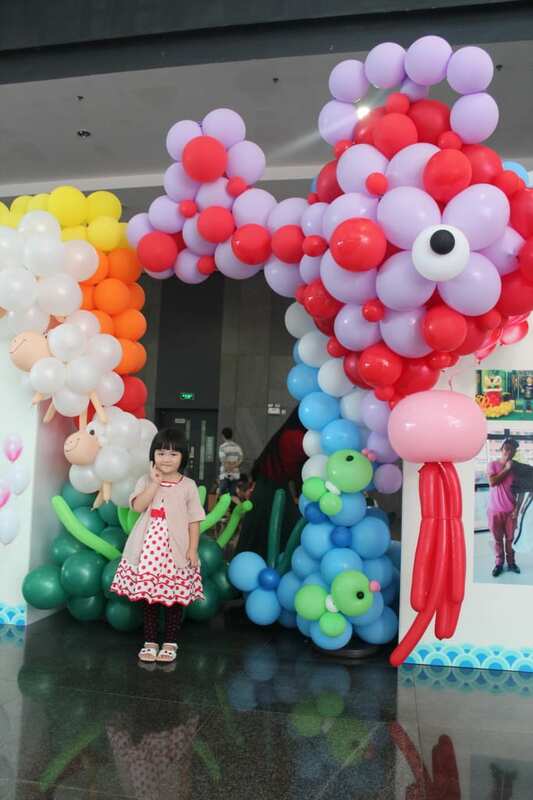 It was a 3 days exhibition of our balloon decorations and artist portfolio. 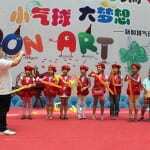 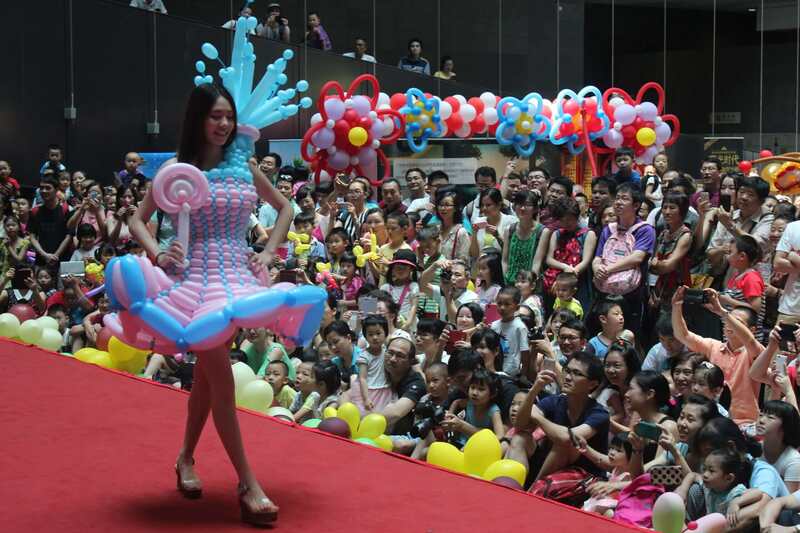 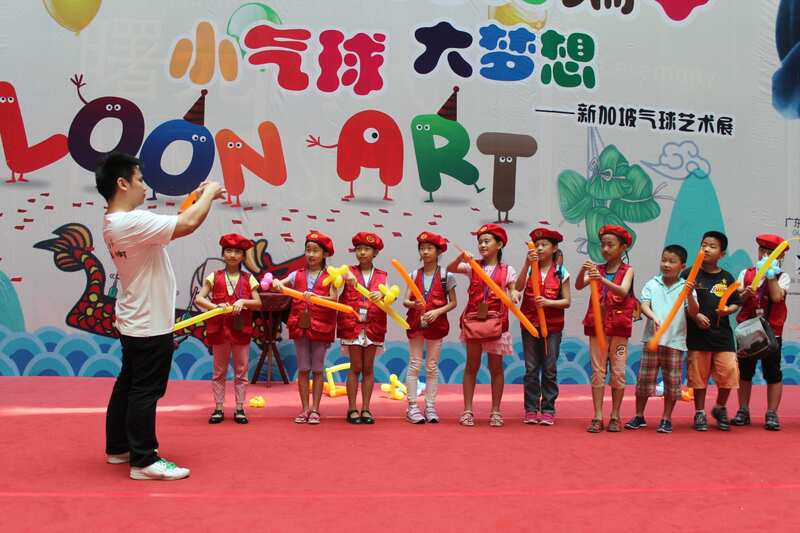 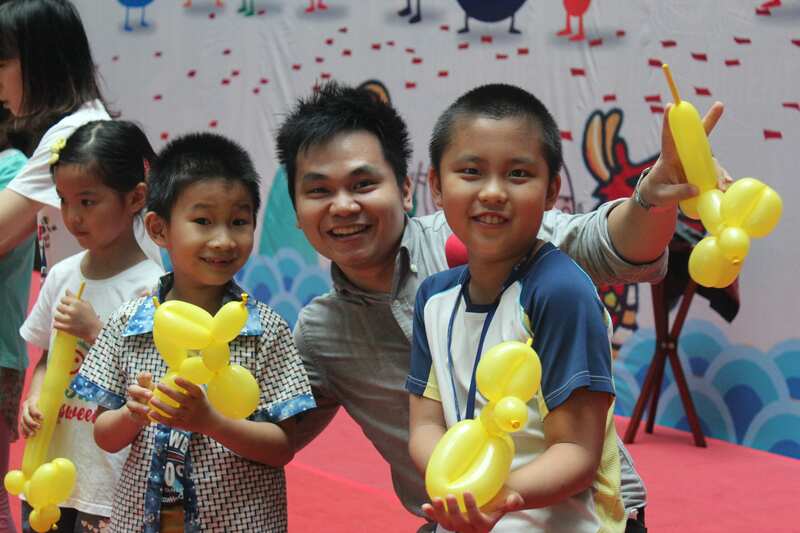 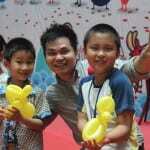 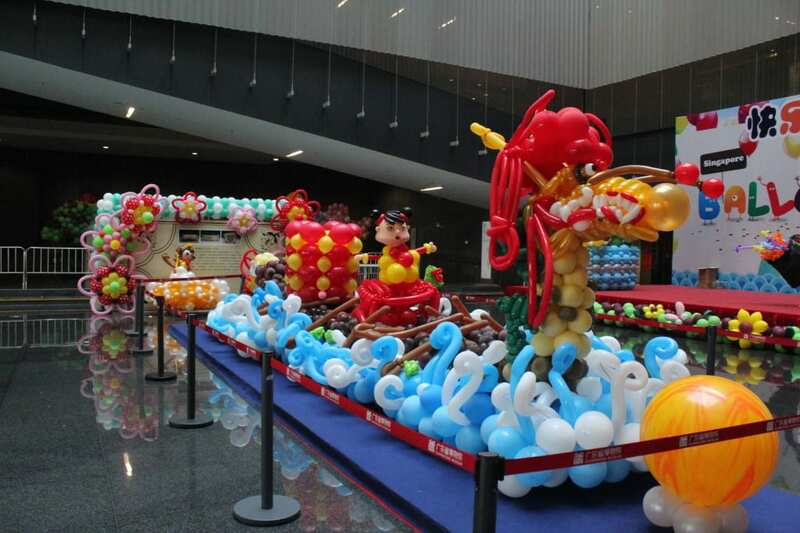 Balloon artists from Singapore took part in this exhibition which was held in GuangZhou China. 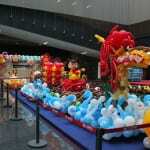 Balloon decoration consulted by Singapore Balloon Artist Lily Tan. 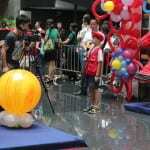 Over 10,000 people ( kids & adults ) took part in this festival. 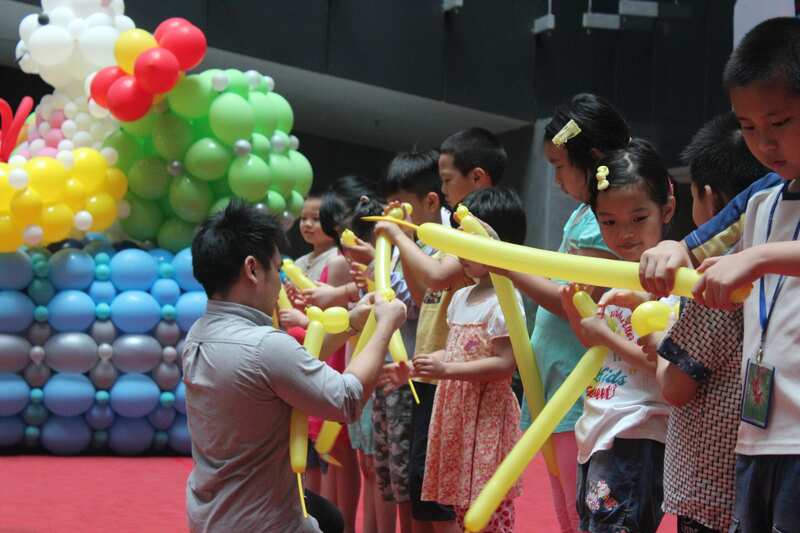 Our balloon artists organized balloon games, balloon sculpting sessions, a showcase of balloon dresses with professional models & stage balloon workshops for the kids who came. 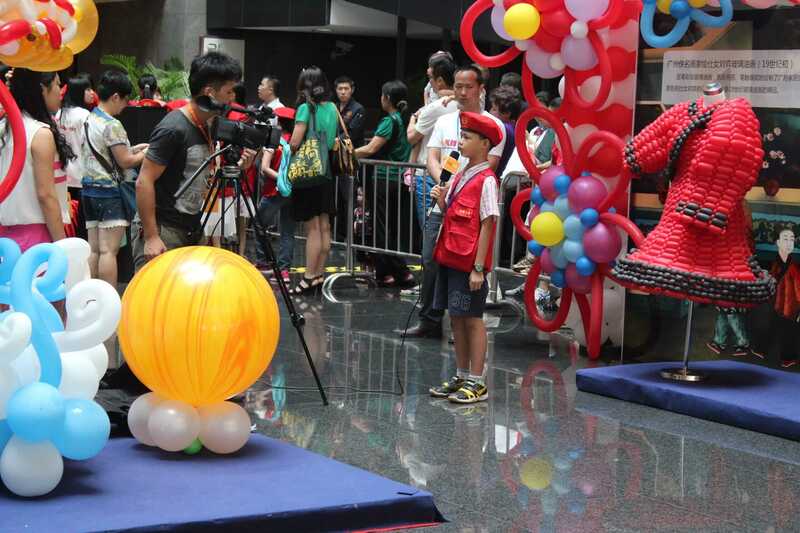 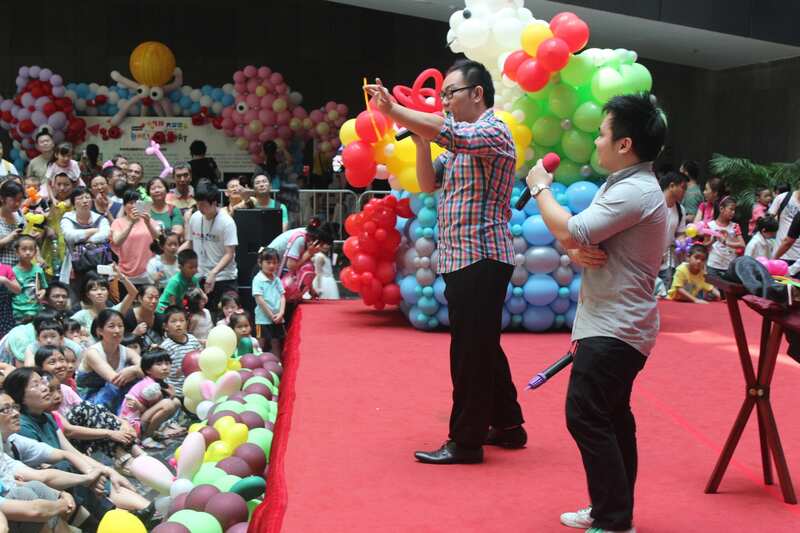 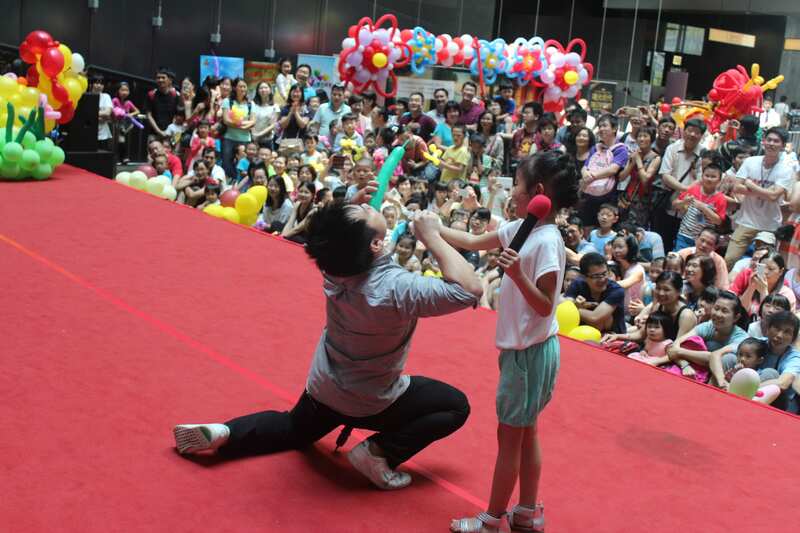 Balloon Artist Bertram Yang & Jazz Ang hosted the activities. 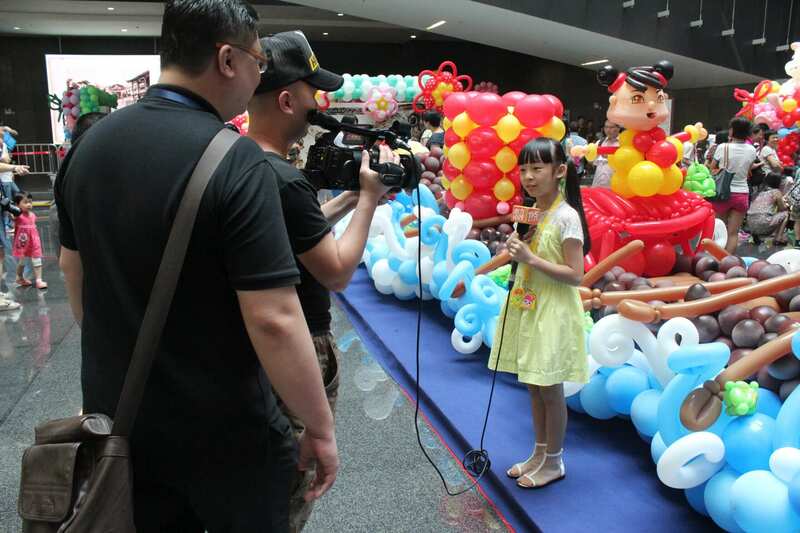 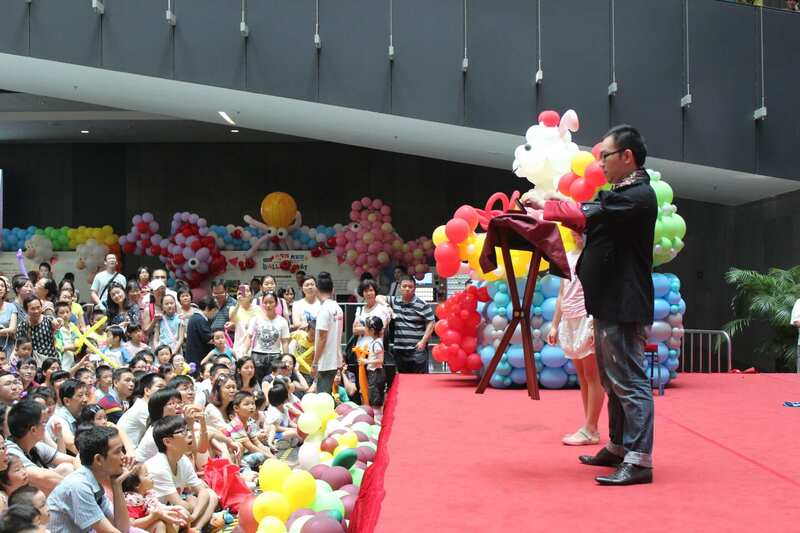 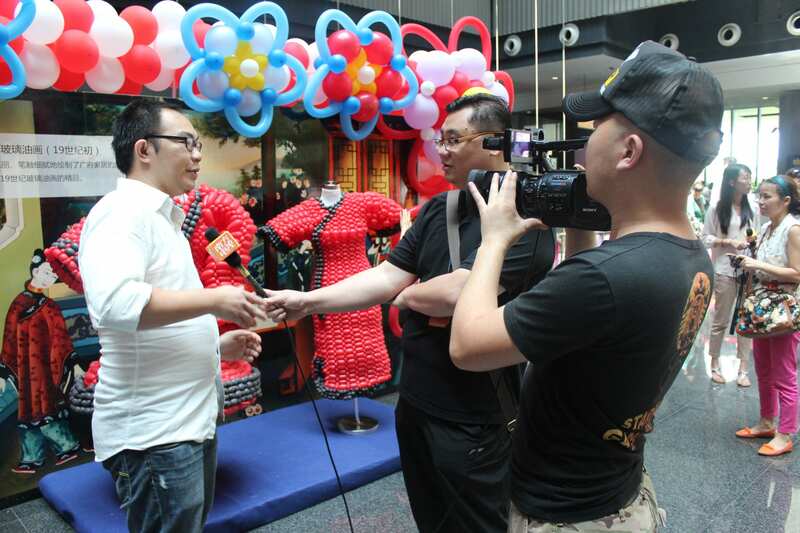 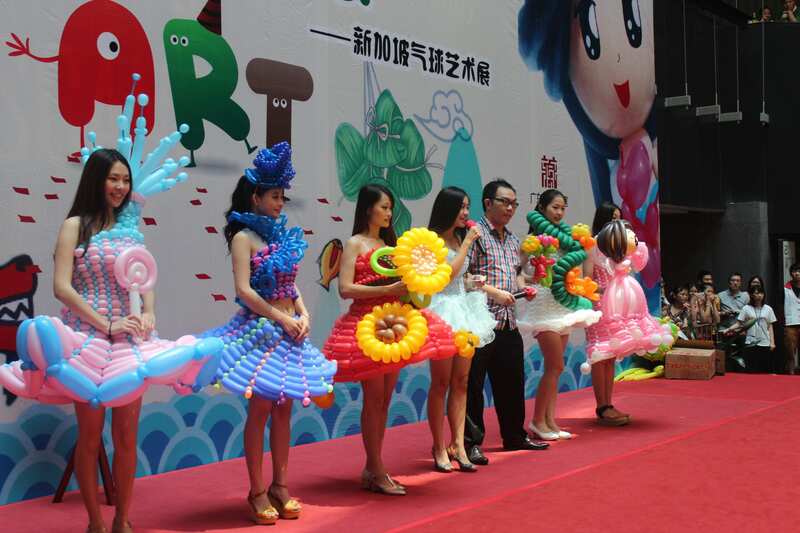 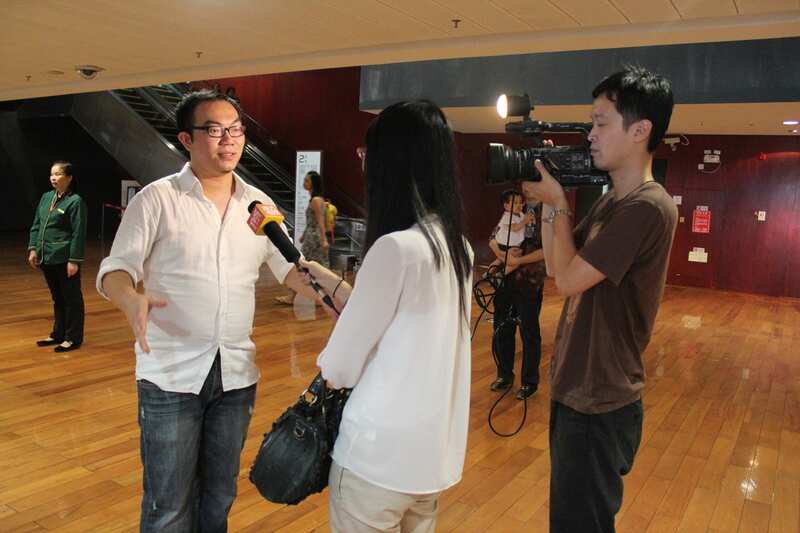 Balloon decorations were featured in 9 different mainstream media platforms in Guangzhou.